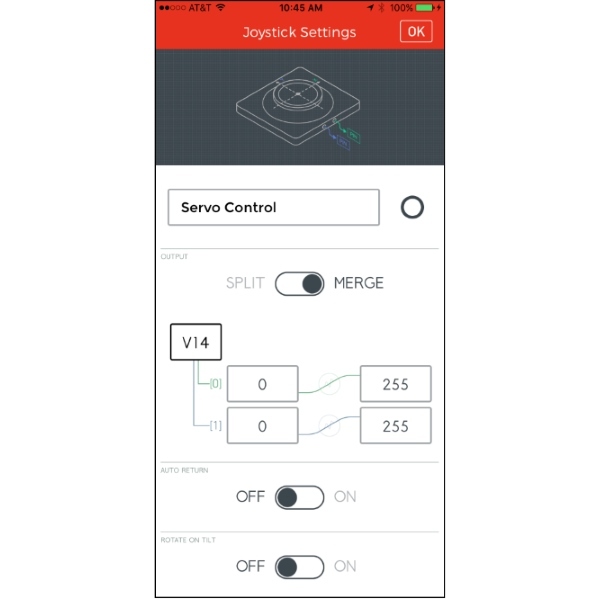 Blynk is an easy to use app builder that allows users to add a variety of buttons, sliders, graphical displays and even RGB controllers to their phone. 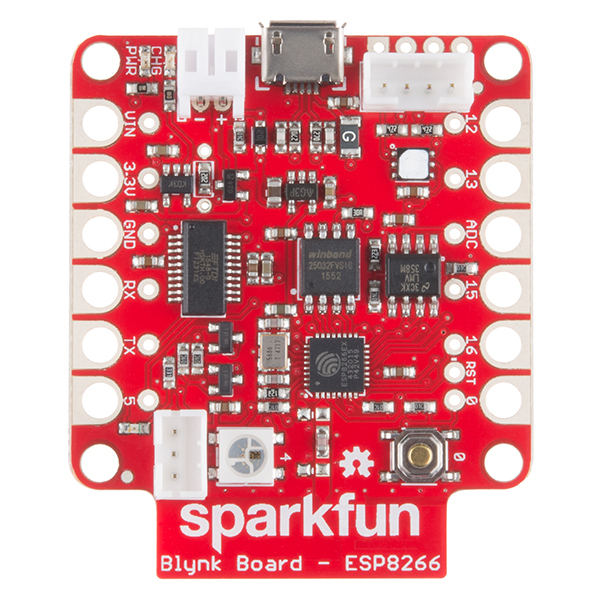 The SparkFun Blynk Board is specially designed to work with the ‘widgets’ within the Blynk mobile app to create your next IoT project. 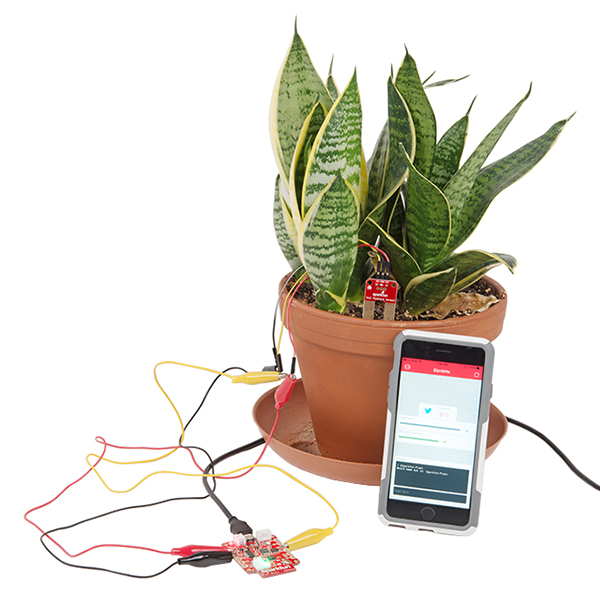 Monitor local weather conditions, control LEDs from your phone, even send a tweet when it’s time to water your plants! 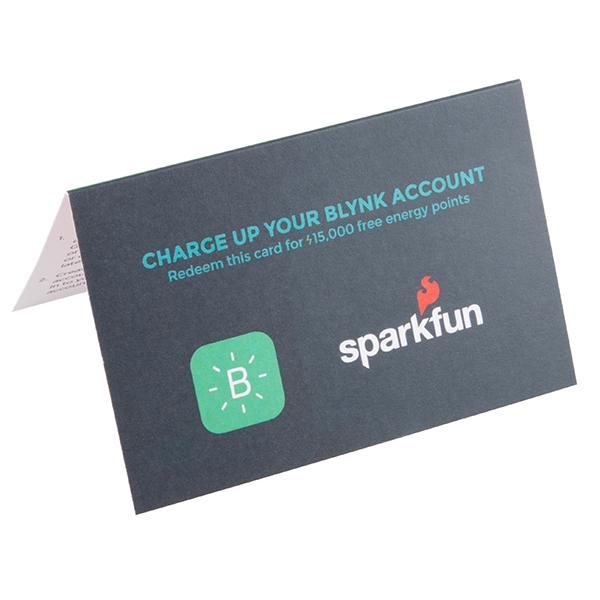 Every Blynk Board comes fully programmed and also includes a Blynk subscription code card (15k Energy at a $10 value), which will be needed to connect the Blynk Board to your Blynk account. Simply connect to a Wi-Fi signal and you are ready to use this starter kit! 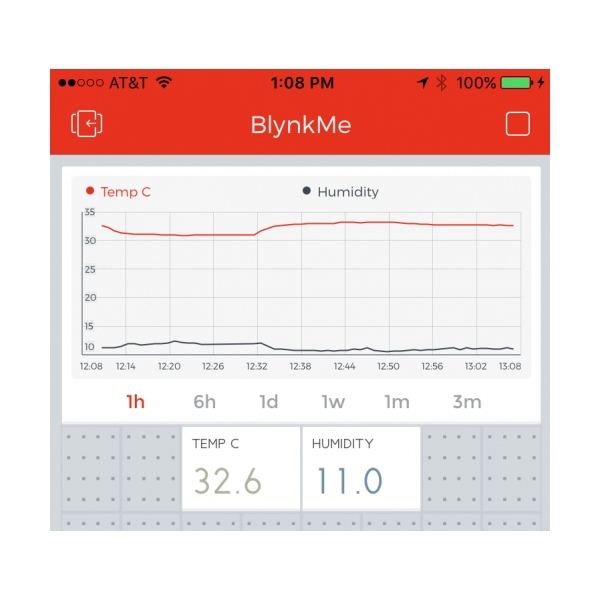 Getting started with your Blynk Board and getting it connected to the Blynk App on your iOS or Android device is a breeze. Once you’ve played with the ZeRGBa (a festively colored zebra 'widget' that can change the color of the on-board RGB LED) checkout our step-by-step project guide with detailed images on how to add and control the large selection of widgets within Blynk. 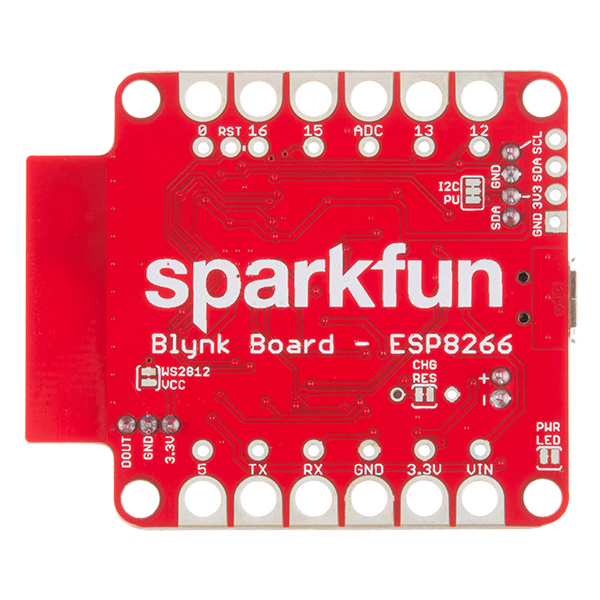 The source for the preloaded firmware is available at the GitHub page for the Blynk Board listed above under Documents. Just load the appropriate INO file into your arduino ide and upload it to the board. 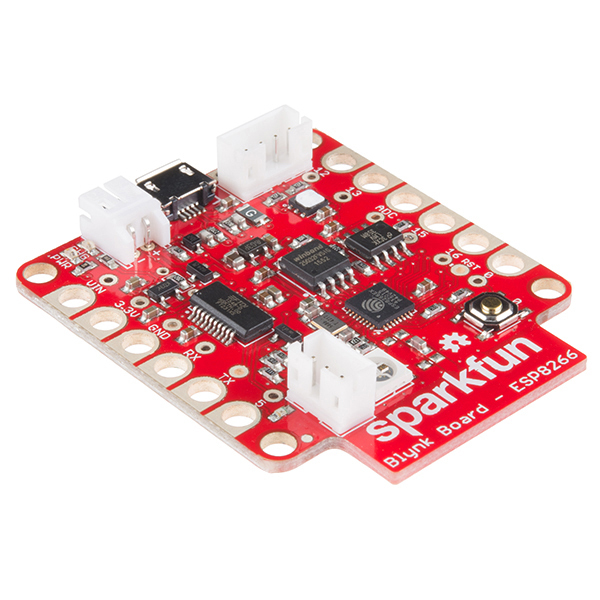 Getting your head wrapped around IoT projects can be difficult, but this kit and the excellent SparkFun tutorials take a lot of the mystery and most of the frustration out of the equation. Everything needed to do all the projects is included except for the Power Tail relay, which I happened to have on the shelf. While I consider myself an intermediate maker, the investment in this kit and a couple of afternoons of my time really paid off. If you are unsure what you are getting into, read the project write-ups first. Starter kit comes with basic board and some sensors to connect. Everything you think you need to get started creating projects and having fun. Included in the kit are a handful of LEDs with required resistors. THERE IS NO BREADBOARD TO CONNECT ANY OF THESE NEAT THINGS!!! If you create a starter kit, at least include a proper project board to plug in components. Very disappointed in the 'kit'. 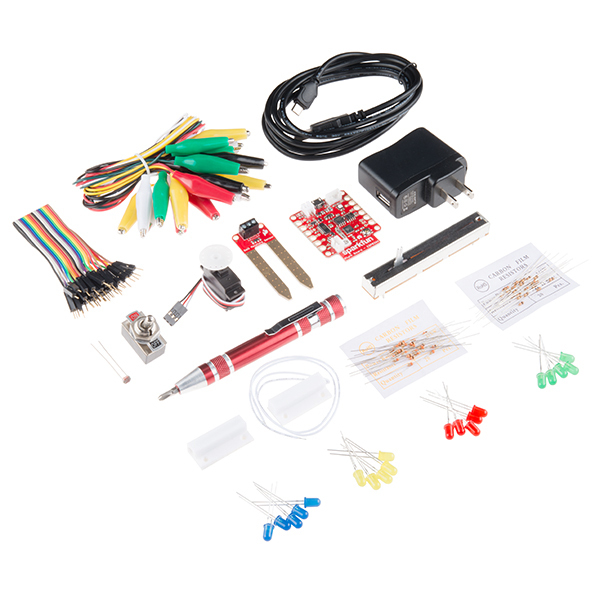 This kit is intended to use the provided alligator clips for connections, not a breadboard. This is discussed in the project guide. To hook up resistors and LEDs, the intended work around is shown in Project 1 of the hook up guide, you will twist the resistor and LED legs together to make the connection. If you wish to use a breadboard they are sold separately. Very easy to setup and do a few experiments. Beware to remove assigned PINS when you change experiments, if you do not is impossible to free them...you cannot use the board anymore except that is possibile to 'format' the device (restore as default) using a computer and the Arduino SDK, the help desk kindly sent me the download link and the instructions. And finally once you're done the experiments you can use the ArduinoSDK to write directly your programs! I probably didn't need to buy the whole Starter Kit, but I wanted to make sure that I had something that was complete, and what the heck, I can afford it. After installing the Blynk app on my phone, and running most of the projects in the tutorial, I can honestly say, it was good to have the whole kit so I could try out everything without having to look for parts. 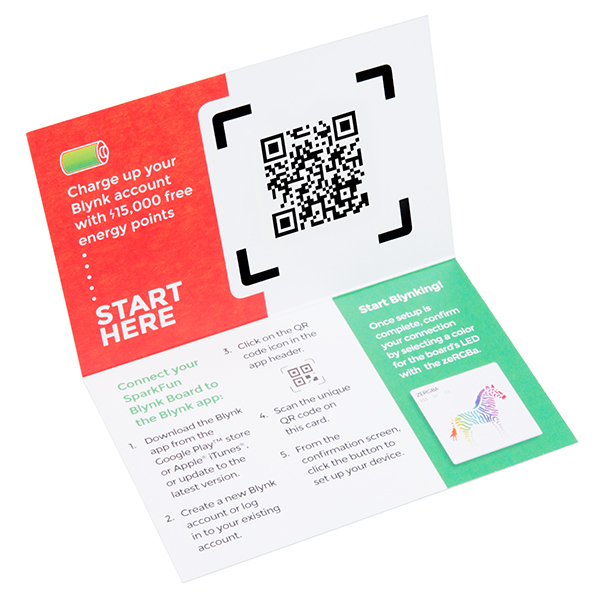 The whole Blynk system is really neat, and there are a ton of things that you can do with the board and the app. I also ordered the less expensive ESP8266 Thing Dev board, and that works great, also, but I highly recommend the full Starter Kit, just for the convenience when getting started. Great starter kit to learn how to integrate wifi into any project. Simple to pick up and learn even for a noob like me, from hardware to software side with Blynk. Fun kit that actually includes everything needed (no surprises, thanks Sparkfun team), and very rewarding. The community support is great too making this easy to tailor to any project.